For $10 Off Your Next Septic System Pumping! Rhode Island Septic Services Inc. is an all-in-one septic systems service provider, serving residential and commercial customers throughout the State of Rhode Island. From tank pumping, to system maintenance, to septic system design and installation, and even excavation work, we do it all to the highest standards of excellence. We’ve been building relationships since 1954! When the time comes for you to service your septic tank, it’s important to trust a reliable, credible company. 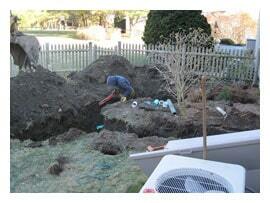 The goes for any septic installation in Rhode Island. When these crucial services are performed by an expert, they’re bound to result in a system that works flawlessly. At Rhode Island Septic Services Inc., our goal is to ensure all of our customers benefit from flawless septic tank operation. Whether that means routine pumping and treatment for your tank or the design and installation of a system to replace your old cesspool, you can count on us. 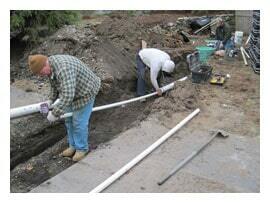 We’re well-known for delivering a top-tier standard of septic service in Rhode Island. Part of the reason home and business owners choose us for septic services is because they know they’re getting our fullest attention and maximum effort. We don’t simply run through the motions—even on routine jobs like septic pumping in Rhode Island. Instead, we always take the time to consider the details and make sure our customers and their systems are fully served. On top of this, we have a complete range of capabilities that make us an all-in-one septic solutions provider, including grease trap pumping and general excavation. Don’t let just anyone handle the many needs of your septic solution! Choose Rhode Island Septic Services Inc. and make sure it’s in the best possible hands. When you call us, we promise you’ll be connected with one of our experienced experts—not an answering service! This ensures you get insightful help, right away. Our family-owned and -operated company has been building relationships since 1954. We’re three generations deep and continue to maintain an excellent reputation! We strive to maintain competitive prices and always offer best-in-class services, ensuring our customers get the best value and highest level of satisfaction possible. Among our many capabilities is the ability to design and install DEM approved septic systems for residential and commercial customers. We always offer free estimates on all of our services and welcome projects of all sizes and scopes. From routine tank pumping to septic system design and installation, we’re your complete authority on all septic systems services. Contact us today and experience excellence. Rhode Island Septic Services Inc.
"I just made an appointment to have my septic emptied for the 11 th year in a row. WHY I USE THIS COMPANY because they do a fantastic job, ..."
"Great company and great service!!! Will go above and beyond to make sure things are taken care of the right way! Thank you!!" Please Call for Weekend Appointments. 24-hour Emergency Pumping Services Available.